2016 has been pretty good towards me so far and I'm so happy to say that I'm officially sponsored by Re Birth Nail Paradise for manicure+pedicure service! Woohoo!!! No more fugly nails from now on! I've been struggling hard to keep my nails in good shape but they are way too brittle for someone who doesn't have any knowledge of manicure to take care of. So am gonna leave my fragile nails in the good hands of manicurists of Re Birth Nail Paradise. Re Birth Nail Paradise started their business in year 2010 and it's going stronger and stronger as they've expanded into 3 different branches now at 3 different location of KL to cater all the needs that nail art lovers been craving for ( or someone like me who's a total dummy when it comes to take care them nails). Wash off previous horrendous leftover colours, cut and filing. So comfortable throughout the whole process I almost fell asleep. Scrub is the part I like most!!! Manicurist's massage my feet with the right pressure helps me relax my tired feet! 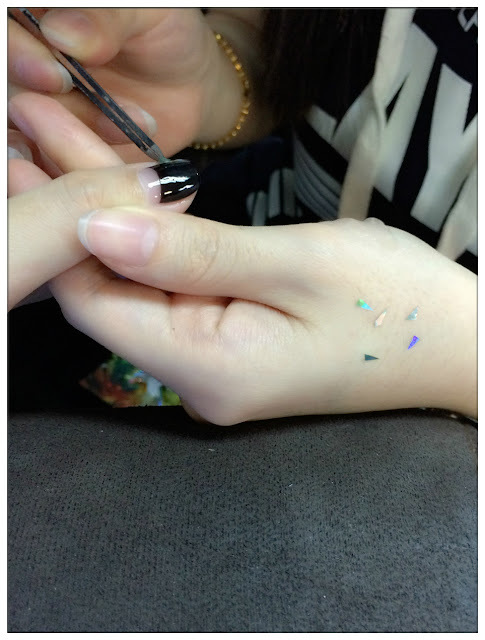 Since it's not Chinese New Year yet, so I decided to go for the most talk about nail art recently - The Glass Nail design. I've seen some of the designs on internet and it has captured my heart at first sight. Been always wanting to have them on my nails and finally I got it! 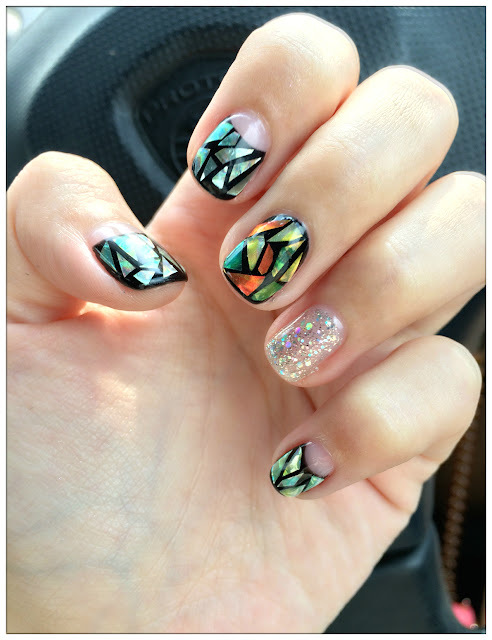 But little did I know it is such a time-consuming progress as the manicurist have to cut off the shimmer paper into parts in order to stick them on my nails like shattered glass. Manicurist been patiently sticking the shimmer paper on my nails, thank you so much I feel so paiseh for such time-consuming nail art. 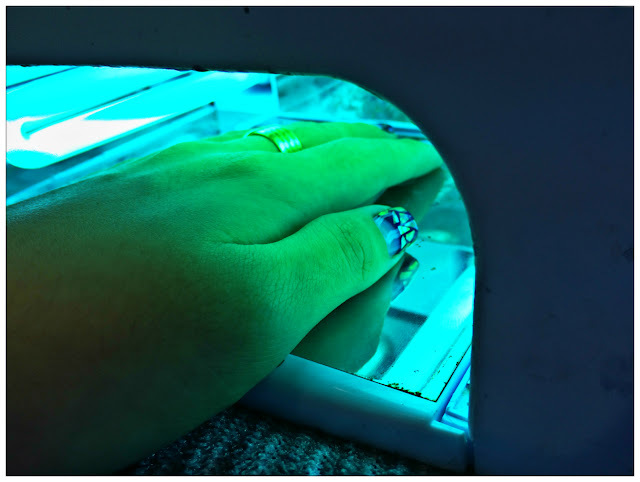 Did my nails in soft gel form so UV light to dry them off is a must. My nails are finally done after 2 and half hours and I'm super duper happy with the latest manicure design on both my hands and feet! The manicurists of Re Birth Nail Paradise pay attention to the details and tried their best in delivering the best to their customers. 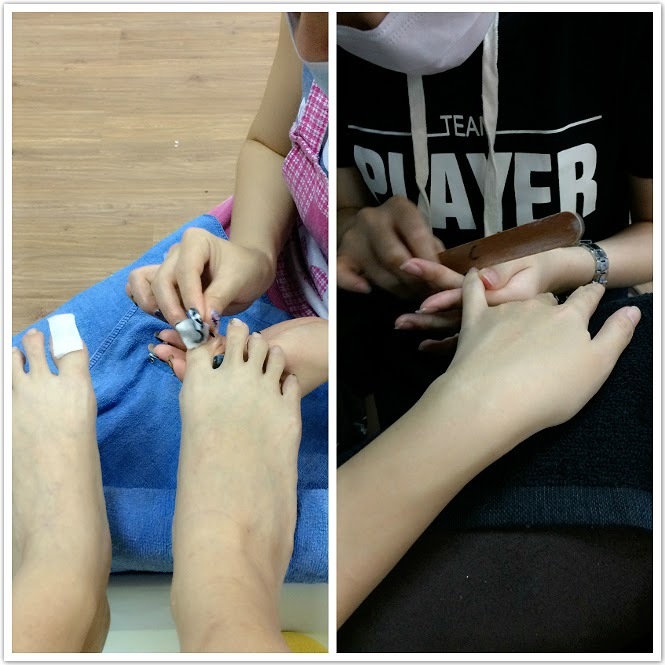 Experienced manicurists really does made a lot of difference when it comes to doing manicure and pedicure and I'm glad I have Re Birth Nail Paradise manicurists to take care of my nails from now on. It is almost time for Chinese New Year design and I've been thinking of doing something fusion, can you guess what it is??? LOL! Will update my nail design soon so stay tuned! A-3-8 Endah Promenade 5, Jalan 3/149E, Taman Sri Enda, Sri Petaling 57000 Kuala Lumpur. 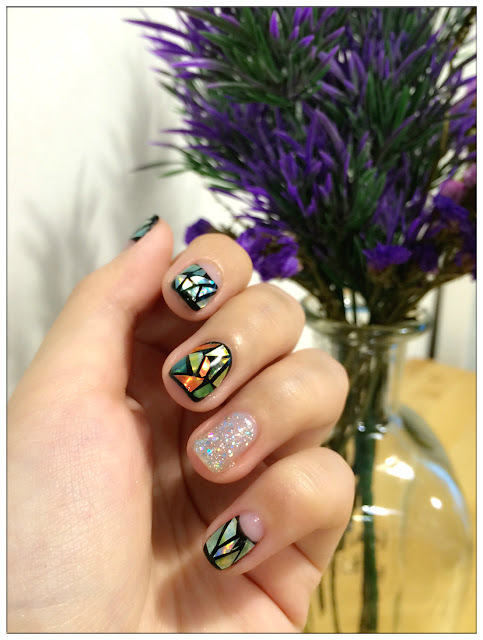 Do follow their Facebook page https://www.facebook.com/Re-Birth-Nail-Paradise-173310172697474/?fref=ts and Instagram account for latest news and promotion! super love this nail arts!! !